MEOPHAM VALLEY VINEYARD, WAS ORIGINALLY ESTABLISHED IN 1991, BY DAVID AND PAULINE GREY. DURING THEIR TENURE, THEY SET THE FOUNDATIONS BY PLANTING SEVEN GRAPE VARIETIES, CONDUCTING VINEYARD TOURS AND CREATING A RANGE OF QUALITY STILL AND SPARKLING WINES. DURING THIS TIME, THEIR VINTAGES WON NUMEROUS AWARDS IN LOCAL, NATIONAL AND INTERNATIONAL WINE COMPETITIONS. DUE TO DAVID’S RETIREMENT, OUR FAMILY WERE PRESENTED WITH A WONDERFULLY, EXCITING OPPORTUNITY, FULL OF POSSIBILITIES, TO OWN A VINEYARD. IN NOVEMBER 2014, BEN AND SURJIT BASSI BECOMING THE PROUD OWNERS OF MEOPHAM VALLEY VINEYARD. BETWEEN THEM, THEY HAVE 50 YEAR’S EXPERIENCE IN THE AGRICULTURAL INDUSTRY AND HAVE SPENT THE LAST 18 YEAR’S, WORKING CLOSELY WITH DAVID AT THE VINEYARD. IT’S BEEN THEIR LIFELONG DREAM TO OWN THEIR OWN BUSINESS, THEIR OWN PLOT OF LAND, WHERE THEY CAN GROW AND CULTIVATE QUALITY PRODUCE. OUR FAMILY FEEL PRIVILEGED TO OWN THE VINEYARD AND TAKE EVERY OPPORTUNITY TO VISIT. WHETHER IT’S GOING TO STARTING PRUNING, GRAPE PICKING OR TO ADMIRE THE BREATH TAKING SCENIC VIEW OF THE VALLEY. FOR OUR SMALL FAMILY, WE KNOW THIS IS THE BEGINNING OF OUR JOURNEY AND ARE LOOKING FORWARD TO WHAT THE FUTURE HOLDS FOR MEOPHAM VALLEY VINEYARD. MEOPHAM VALLEY VINEYARD, IS LOCATED IN THE NORTH DOWNS OF KENT AND SPANS APPROXIMATELY 25 ACRES. THE VINEYARD ITSELF IS SET ON A BEAUTIFUL EAST-FACING SLOPE, WITH PICTURESQUE HAPPY VALLEY AS A BACKDROP. THE SITE ITSELF, IS APPROXIMATELY 100 METRES ABOVE SEA LEVEL AND THE VINES ARE PLANTED AT A DENSITY OF 1672 VINES PER ACRE. OUR VINES ARE ALL PLANTED ON A GRADIENT, A PERFECT TERRIER FOR CAPTURING THE SUN’S RAYS. THESE CONDITIONS HELP TO INCREASE SUGAR LEVELS AND ALLOW THE GRAPES TO REACH OPTIMUM RIPENESS. WE CURRENTLY GROW SEVEN GRAPE VARIETIES, THESE INCLUDE CHARDONNAY, PINOT NOIR, PINOT GRIS, MADELEINE ANGEVINE, LEON MILLOT, TRIOMPHE D'ALSACE AND REICHENSTEINER. THE VINEYARD, IS SITUATED IN THE LOVELY VILLAGE OF MEOPHAM, WHERE THE SURROUNDING AREAS OFFER A GREAT VARIETY OF RESTAURANTS, PUBS AND B&B’S, PERFECT FOR A WEEKEND AWAY. THE VINEYARD IS VERY ACCESSIBLE FOR VISITORS, AS IT’S LOCATED CLOSE TO THE A2, M25, BLUEWATER SHOPPING CENTRE AND EBBSFLEET INTERNATIONAL STATION. BEN LOVES HIS GADGETS AND RECENTLY PURCHASED A DRONE TO PLAY WITH. HERES A SNIPPET OF THE VINEYARD FROM AN AERIAL VIEW. AS A FAMILY BUSINESS, WE MADE THE DECISION TO REBRAND OUR WINE, UNDER THE NAME MEOPHAMS. WE WANTED THERE TO BE STRONG CONNECTION BETWEEN OUR BRANDING, MEOPHAM VILLAGE, THE LOCAL COMMUNITY AND THE VINEYARD. THIS IS PRIMARILY WHY, OUR BRAND LOGO FEATURES THE MEOPHAM WINDMILL, AS WE FELT IT ENCAPSULATED THE AUTHENTICITY AND HERITAGE OF MEOPHAM. WE ARE IMMENSELY PROUD OF WHAT WE HAVE ACHIEVED AND THE CHALLENGES WE HAVE OVERCOME, IN SUCH A SHORT TIME FRAME. OUR COLLECTION, INCLUDES FOUR STILL AND TWO SPARKLING VINTAGES, WHICH WERE CREATED USING THE TRADITIONAL METHOD. IN OUR FIRST YEAR, WE WERE ACCREDITED WITH THE UKVA BRONZE AWARD, FOR OUR 2015 FINE WHITE AND 2015 ROSÉ. WE HOPE, THAT THIS AFFILIATION WITH OUR WINE AND ACCOLADES WILL BRING PRIDE TO LOCAL COMMUNITY. 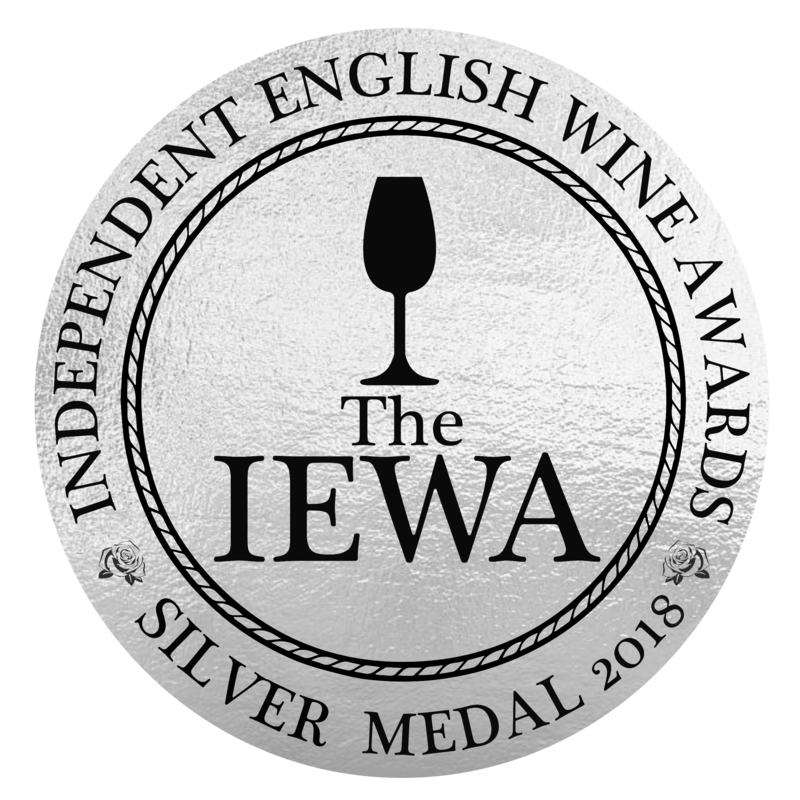 IN 2018, WE RECEIVED TWO SILVERS AND A BRONZE AWARD AT THE INDEPENDENT ENGLISH WINE AWARDS. AT MEOPHAMS, WE HAVE A STRONG BELIEF IN FAMILY, COMMUNITY, FUN AND A SENSE OF ADVENTURE. WE ARE INSPIRED BY TRADITIONAL RECIPES, BUT LIKE TO ADD OUR OWN TWISTS TO PRODUCE DELICIOUS WINES. WE STRIVE TO EMULATE THE SUCCESS OF THE PREVIOUS OWNERS, BUT AS ANY BUSINESS DOES, WE WANT TO EXPAND AND SURPASS ALL EXPECTATIONS. WE WANT TO REVITALISE THE BUSINESS, BY PRODUCING HIGHER YIELDS, PLANTING OTHER GRAPE VARIETIES AND ULTIMATELY BY CREATING A COLLECTION OF AWARD WINNING WINES. ONE OF THE MOST EXCITING ASPECTS OF THE VINEYARD, IS THE POTENTIAL FOR GROWTH AND AS THEY SAY, THE SKY’S THE LIMIT! HERE’S JUST A FEW OF THE OBJECTIVES WE BELIEVE, ARE KEY TO THE SUCCESSFUL DEVELOPMENT OF MEOPHAM VALLEY VINEYARD AND THE SURROUNDING AREAS. WE BELIEVE, THE FOUNDATIONS OF A GOOD QUALITY WINE, ARE THE GRAPES BLENDED TO CREATE IT. WE HAVE CONDUCTED A NUMBER OF SURVEYS, TO ASSESS THE SUITABILITY, OF PLANTING VINES IN THE REMAINING 17 ACRES OF THE VINEYARD. THE SURVEYS CONCLUDED, THAT DUE TO THE SOIL QUALITY, GRADIENT AND COOL CLIMATE, THAT THESE WERE FANTASTIC LOCATIONS TO PLANT BOTH EARLY AND LATE RIPENING GRAPE VARIETIES. WE CURRENTLY GROW SEVEN GRAPE VARIETIES, HOWEVER WE HAVE BEEN EXPLORING THE POSSIBILITY OF GROWING OTHER VARIETIES THAT CAN PRODUCE HIGHER YIELDS THESE INCLUDE BACCHUS, PINOT MEUNIER AND REGENT. VINEYARD TOURS, WOULD ALLOW THE PUBLIC TO VISIT, LEARN ABOUT AND TASTE OUR WINE COLLECTION. THIS WOULD BE A WONDERFUL OPPORTUNITY FOR US TO ENGAGE WITH COMMUNITY, BUT ALSO SHOWCASE THE NATURAL, SCENIC BEAUTY, CHARM AND HERITAGE OF MEOPHAM VALLEY. THE LEASE A VINE SCHEME, WOULD GIVE THE PUBLIC THE OPPORTUNITY TO BECOME A VINE OWNER. VINE OWNERS, WOULD BE ABLE TO VISIT THE VINEYARD, MONITOR THE PROGRESS OF THEIR VINES AND EVEN HELP PICK THE GRAPES DURING THE HARVEST. THE VINE OWNER, WOULD EVENTUALLY RECEIVE THEIR BOTTLED WINES, WITH A PERSONALISED LABEL. WE FIRMLY BELIEVE, MEOPHAM VALLEY VINEYARD CAN CONTRIBUTE TO THE GROWTH OF THE RURAL ECONOMY, BY CREATING NEW JOBS AND DELIVERING A CREDIBLE VISITOR ATTRACTION WHICH, COULD SUPPORT THE SURROUNDING BUSINESSES.